Keita Balde Diao, one of the famous professional football player who plays for Monaco FC and Senegal National Team. He is well known celebrity. He is famous for contribution in professional life. 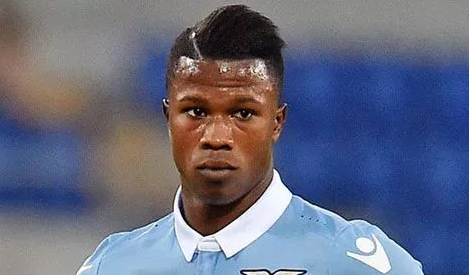 He is popularly known as Keita Balde. He is best at Forward position. Currently, he is playing in Monaco. He had played for Damm, Barcelona and many other clubs. He is both right and left foot player. His Shirt number is 14. Niang is one of his best teammate. He had represented himself in Russia for the World Cup 2018 as a part of the Senegal national team by showing his talent to all. 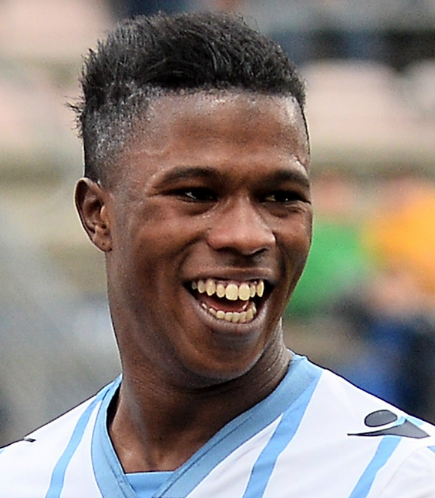 Passionate and enthusiastic player, Keita Balde was born on 1995, 8th March. He was born and raised in Arbucies, city of Spain. He carries the mix of both Senegalese and Spanish nationality. He belongs to African ethinicity. He has not revealed about his parents. His astrological sign is Pisces. At the small age, he began his career with football. Balde has got a great personality. Talking about his body, his height is 1.81 m. His weight is of 77 Kg. He has balanced body with good health. He has attractive body figure. His smiling face and charming personality has helped him to gain the attention of all the viewers. His football career journey started by joining the youth academy club Damm. He later moved to Barcelona and played seven successive seasons with the team in the year of 2004. Keita also played for Cornella as a part of a loan from Barcelona. Later keita was signed by club, Lazio on July 1st, 2011 with the transfer fee of $352,044. He didn’t make any official appearance for a year because he should first be confirmed to be a Spanish citizenship. Also he needed EU passport to register him for the Italian club. He then spent the 2012-13 season playing the youth team of Lazio U-19. His first league career for this club was against Chievo on September 15, 2013 with the score of 3-0 wins. He was in the club for four-season showing the skills of scoring 26 goals in 110 matches. Later, Keita Balde was transferred to AS Monaco agreeing to a 5 year deal on August 29, 2017. He kicked his first goal for this club, Monaco against SM Saen on October 21, 2017. Keita Balde was born in Spain but also he represented Senegal national team internationally. He had represented himself in both senior as well as junior levels in many tournaments. His first international match for his birth nation came over Niger as a replacement. His name was also enlisted in the squad of Senegal national team in this World cup 2018 Russia. He had played in the World cup 2018. He is the active player in this World cup. He had played altogether 1 match with no goals in this World cup. His exact net worth figure is still yet to get unfolded. He is receiving an annual salary of $9.1 million and weekly salary of € 150,000 from his present club. His current market value is £27.00 million. He also make good amount of money through his prompting brands and endorsements. He is the brand ambassador for Nike. Moving towards his personal life, Keita is single. He is not married but currently he is dating Simona Guatierian Italian model. They seem to be very happy with each other. The couple makes public appearances together often. There is no any sign of Separation between them. They are living peacefully.